Hailing from South Florida, Kevin Grieco has been living in Atlanta for over ten years. Before becoming a Realtor, he was a brokers assistant, then he began working for a large real estate company as the Assistant Market Center Administrator. Getting his real estate license was a natural progression and he has never looked back. Kevin is a member of the Multi-Million Dollar Sales Club, Atlanta Board of Realtors and National Association of Realtors. 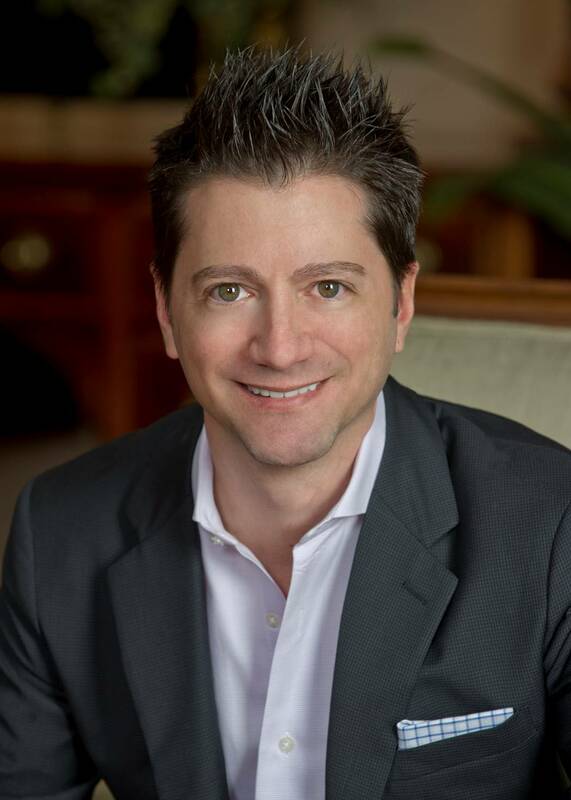 He is a top producing agent and ranked in the top 20% in the Southeast region at his former company before joining Atlanta Fine Homes Sotheby’s International Realty, He also served on the Agent Leadership Council. Kevin Grieco is making his unique mark on Atlanta’s luxury condo market. He makes it a point to understand each property in painstaking detail and follows every new project from construction to finish, documenting his observations in breathtaking photographs and delightful pros that can be found on his outstanding and unique condo blog -atlantaskyriseblog.com. Through his firm, atlantaSKYrise® and in collaboration with a close-knit group of talented professionals, Kevin offers services that are specifically aimed at the affluent buyer or seller including luxury condo sales, identifying temporary furnished luxury housing, personal concierge services and interior design work. He also knows the single-family home market very well and enjoys the flexibility of selling in both markets. “I consider myself a lifestyle consultant. My job is to fully understand my clients’ needs and then help them create the environment they are looking for. I do this through holding in-depth consultations, maintaining accurate and current market statistics, creating proprietary research, and collaborating with other luxury lifestyle professionals. I aim for creative, tailored service redefined. SELLERS: I have a Million Dollar Marketing Program for ALL price ranges. If you are thinking about putting your home on the market, please contact me for a free Seller consultation. Through my firm, atlantaSKYrise® and in collaboration with a close-knit group of talented professionals, I offer services that are specifically aimed at finding buyers for your property. I am part of the only real estate company in Atlanta that has the ability to connect Buyers and Sellers through our Global Network and Prestigious Advertising Partnerships. I have affiliations with the world’s most exclusive Media Partners, like the T Magazine, Country Life, The Robb Report, Sotheby’s at Auction, Reside and Classic Properties. Lets talk about Global Influence. I am able to reach affluent readers from around the world (The Telegraph, The Wall Street Journal, The New York Times, BBC, International Herald Tribune) and around the corner (Times of London, The Globe & Mail, Luxury Properties Magazine, Financial Times, James List, Exceptional Properties, Neighborhood Papers, AJC, Atlanta Intown). Your property needs to be exposed everywhere to find the perfect buyer. Call me for a consultation! BUYERS: I work with buyers in ALL price ranges. If you are thinking about purchasing a home, please contact me for an initial Buyers Consultation. Whether you are looking to purchase a re-sale condo or something brand new, I offer the highest level of service and expert knowledge to assist you every step of the way. It’s important to have an agent represent you in the purchase of a new or pre-construction condo project. Remember, the on-site sales agents represent the developer/Seller, NOT you. Why not have someone representing you with vast knowledge on the market who knows what’s really going on? atlantaSKYrise provides visitors with information, news and updates on luxury condos, lofts and townhomes in Atlanta from Buckhead to Midtown to Downtown. I always try to provide photographs (first looks) of under-construction highrises, lofts and townhomes, getting you inside the buildings before they are owner occupied. The information provided will include current price ranges for purchase and any exceptional opportunities for purchase, as well as information on the location and amenities of the property. Bookmark atlantaSKYrise and subscribe to the RSS feed to be kept up date on the Atlanta market. Speak up. Get active. Thank you for visiting. Atlanta Fine Homes Sotheby’s International Realty is a real estate brokerage firm that may have affiliations with the various condo projects shown on this site. atlantaSKYrise® and Kevin Grieco do not represent the Seller unless otherwise noted.